If you are entry level photographer the Nikon D3400 can be great for you. 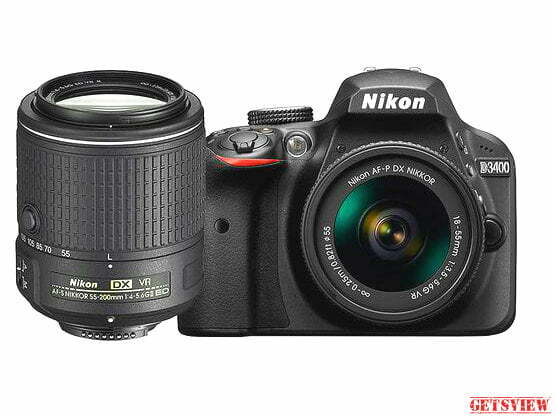 It has a lightweight body that can easily be carried, so the Nikon D3400 is one of the top tourist favorites. Besides, there are long-life batteries, which can be taken at a maximum of 1200 pictures & record up to 60 minutes of videos. Resolution 24.2 Megapixels, (Approximately 24.7 Megapixels). Protection Auto Sensor Cleaning System, Image Noise Reductions. Coverage Up to 7.0-meter focal length. Type TFT LCD Touchscreen Display. Type Lithium-ion EN-EL14a Rechargeable Battery. Format JPEG, NEF (RAW), RAW+JPEG. In The Box Lens, Viewfinder, Battery & Charging Adapter (MH-24 Quick Charger), Hand Strap, User Manual Book, Stereo AV Cable, Software CD.